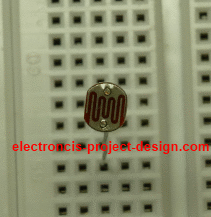 Good electronics project design references and tips can accelerate your practical know-how in electronics. Getting good and timely information on the electronic project that you are embarking on sometimes can be time consuming and frustrating. Hence, the objective of this site is to bridge this gap. This site is dedicated to all electronics enthusiasts whether you are a student, a teacher, hobbyist or even an electronics engineer. The end result of an electronics project is determined by a few factors. It normally starts with the strong enthusiasm in the project chosen, going on to schematic or circuit design, printed circuit board design, software programming if microcontroller is involved and building prototypes. If you are looking for electronic parts to test your projects, head over to our newly open electronic store and browse the many products that you can purchase. For many, the process of design ends here when you achieved your objective of creating a useful device or tool that helps you with your daily lives or meeting the objective of the coursework set by the college that you are currently enrolled in. However, if you want to go further in marketing the product created, a lot of effort is needed in ensuring the reliability of the product. Good design practices, choice of components, reliability test and compliance to standards set by the governing authorities are some of the steps that you will need to take before you can market your product to the public. This site provides schematics and parts lists of various projects that you can experiment yourself. It also include articles on the importance of reliability testing, electromagnetic compatibility (EMC) testing, failure mode effect and Analysis (FMEA) and fundamental of electronic parts. Test and measurement tools that are needed are also discussed before you embark on your journey of building your own electronic project. 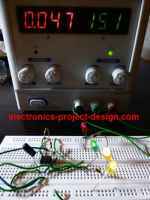 This Electronics Project Design site will be updated from time to time with new projects and tips, so remember to check back here regularly. If you find this site useful and would like to contribute ideas to be included in this site, you are most welcome to email the author. Your comment on the contents of this site is most welcome.